Reading a text file line by line in java can be done by using java.io.BufferedReader . Create a BufferedReader class by passing new FileReader(new File("filename")) object to it's constructor. By using readLine() method of BufferedReader class we can read line by line text from a text file as Strings. Lets see a java example program on hoe to read data from file line by line using BufferedReader class readLine() method. 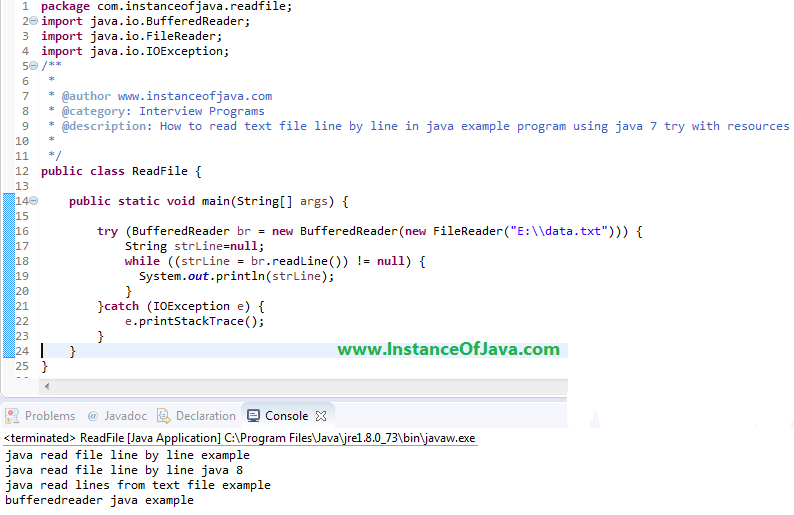 Java read lines from text file example program.